A little knowledge is a dangerous thing ! This is especially true with electricity, as without a great deal of care it can cause untold damage to both person and possessions. Automobile electrics are however rather more forgiving and while without care you may damage some car components you are unlikely to kill yourself . Electricity is unseen so we need instruments to indicate its presence the "Multimeter "is one of these. Wheras multimeters were once expensive and the domain of electronics/electrical specialists who understood the capabilities and limitations of these devices they are now inexpensive and commonplace but unfortunately not all users understand them. Hopefully the following will go some way to improve matters so that enthusiasts will be able to use a multimeter more effectively. In my experience many people are confused between Current measured in Amps and Voltage (or Potential Difference) measured in Volts. To make any sense of electrical measurement it is vital that these two are understood. Before an electric current can flow, we need something for it to flow through e.g. a piece of wire, termed a conductor. We also need something to drive the current through the conductor that is a voltage across its ends. What does this mean in practice. Well as electricity is invisible we can use a water analogy to explain: In Figure 1 the tank of water feeds a vertical tube with taps at the levels h , 2h and 3h. Each tap is the same size. If tap A is opened the water spurts out to distance d from the tube, if tap B is opened water now reaches distance 2d and likewise for tap C the water reaches to 3d. I (current in Amps) = V (potential difference in Volts) Divided by R (Resistance in Ohms). If we substitute typical values for a 12 volt car battery, a yard of thinish cable could have a resistance of 1/10 of an ohm and the plastic line about 10 Million ohms . If we return to Ohms equation of I = V/R So for the cable I = 12/0.1 i.e 120 Amps ( a large current) but For the clothes line I = 12/10,000000 i.e. 1.2 Micro amps (1.2/1,000000) a barely measurable amount. This is the basis of all measurements with a multimeter, understand this and you are half way there. For an electric current ( I) to flow through any conductor of resistance (R) there must be a driving force or potential difference (V) across it. The current flowing, I =V/R. Simples! 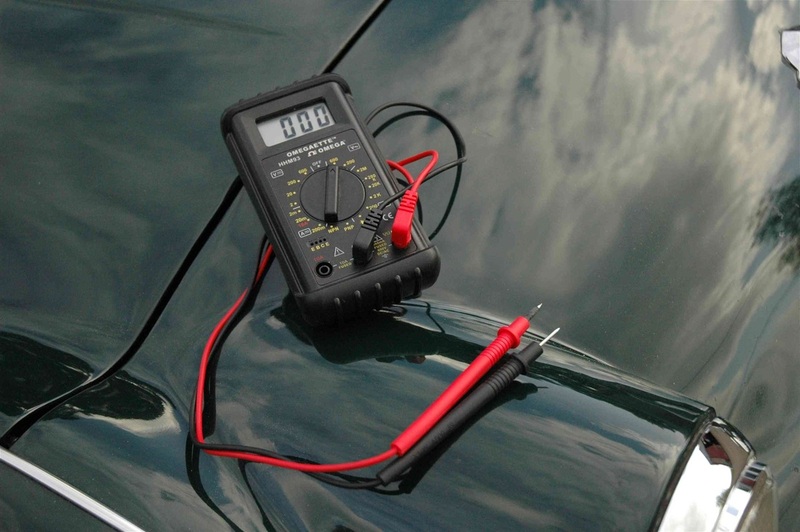 Multimeters can measure voltage and current , voltage and current may be Direct as from a car battery or Alternating as from the mains supply. They also measure resistance. For Classic cars such as the TR the vast majority of measurements will be either of DC Voltage or Resistance. An initial warning, with all multi-meter measurements when measuring Resistance ensure that all Voltage supplies are switched off , if not the measurements will be affected and you could destroy the meter. Always disconnect the vehicle battery before making resistance measurements. Select the Resistance (Ohms) range on your meter and short circuit the two measuring probes together, the meter should read zero 0 ohms. Try and measure your own resistance. Holding the meter probes in each hand a fairly high reading of around 50,000 ohms or 50 K-ohms is typical, the value depends on how thick skinned you are! This is one good reason when measuring resistance for keeping hands away from the metal probe ends to avoid modifying the readings. Now wet your hands and repeat the measurement, you will find it much lower as water although a relatively poor conductor is better than skin. This is why electric shocks from the 240 volt ac house mains are much more serious in a bathroom or kitchen as the water lowers your resistance and causes much greater current to flow, frequently a lethal amount. The 12 volt car battery by itself cannot give you an electric shock as its voltage is too low but its capacity to burn out cables etc. and harm you through burning if still a possibility as anyone who has experienced a vehicle electrical fire will testify. 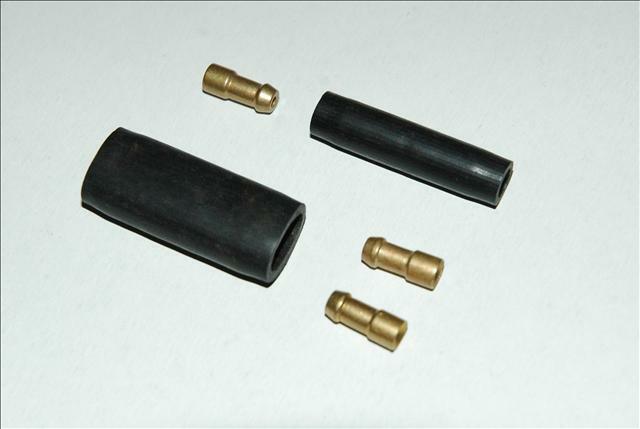 This is the reason that fuses are used for the various circuits and electrical devices. In the event of a fault condition (low resistance) that could cause a cable to burn, the fuse fails instead and protects the cable. large Watts = bright light and vice versa. The filaments of the headlamp/dipped beam bulb should have resistances of around 0.5 and 1.0 ohm, in other words a low value. If it measures a high value then the bulb has blown. Similarly the 21/5 Watt bulb filaments should measure around 1.0 and 2.5 ohms. The much lower power dashboard lamp should measure around 7 ohms. If the resistance measures very much more than this then the filaments are probably open circuit. Some meters are rather inaccurate on the lower ohms ranges and may indicate zero ohms for all of the above. That is OK, only a high ohms reading indicates a failed filament. 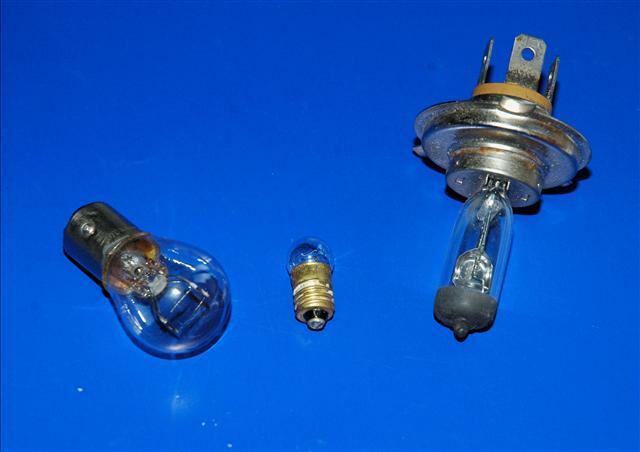 This is a quick and easy method of checking if car bulbs are serviceable. Typical car electrical faults will now be looked at. Caution: Modern vehicles use complex electronics to control a whole raft of electrical devices including such obscure things as monitoring whether the lights are functioning correctly. Do not attempt to follow the advice given below in tracing faults on these vehicles as the chance of causing very expensive damage is a distinct possibility. Fortunately original TR's are quite simple in comparison and you are most unlikely to cause any damage. So that if we are able to measure two of these quantities then the third can easily be calculated. A multimeter allows this to be acheived. In tracing electrical faults on classic cars the two quantities most often measured are DC Voltage and Resistance. Moving on to a typical fault likely to be found on TRs. 1.The wiring to both dip headlamps are taken from a common terminal on the dip switch (dipper switch) so the dip switch is obviously working otherwise the off side dip would also have failed. 2. Likewise the -12 volt feed to the dipswitch must be present as without it neither dip nor main beam bulbs would be illuminating. 3. So the fault must lie between "A" and "B" i.e. somewhere between the dipswitch terminal and the nearside dip lamp bulb. We can now narrow the fault even further by measuring the resistance of the dip/main lamp bulb, remove it from its socket, clean its terminals and check for a low resistance on both filaments. A high (greater than a few ohms) measurement would indicate a blown dip filament. Assuming the dip filament checks ok we can move back to the car and make a DC voltage measurement. Note, that unlike moderns original sidescreen cars were wired with a Positive earth. With the meter on an appropriate DC volts range, switch on the dip beams and carefully measure the voltage at the nearside dip/main beam bulb socket. With the positive meter lead (Red) to the earth side of the socket measure the dip and main beam terminals in turn (with the Black probe), be careful not to short circuit the meter probes otherwise you may see some sparks and melt your probes. The main beam terminal should read -12 volts (as it was working ok) the dip probably zero or less than -12 volts. Check for corrosion, switch off the lamps and clean the socket and lamp bulb as necessary. If the dip beam socket terminal now measures -12 volts, the fault has been located. Corrosion of lamp sockets is very common. ( if your car has been converted to Negative earth, reverse the polarities above). If the fault persists, now identify the nearside dip beam connection on the dip switch and with dip beams switched on, measure the voltage with the positive meter lead earthed (battery +ve is fine), it should measure -12 volts, if not the teminal will most likely be corroded, clean it up and remeasure. With -12 volts on the dip switch terminal but zero or low volts still on the dip lamp socket the fault must lie in the wiring between these points i.e. between A and B or more likely within a connector in the circuit. Copper wire that has been in service for a while will most likely be oxidised to give a black appearance, even under its insulation. The wire must be cleaned back to a bright copper colour with fine emery cloth otherwise it will not solder effectively. When the resistance from A to B is a fraction of an ohm, and with -12 volts at the dip beam terminal and a good main/dip lamp bulb plugged in there is now no reason why the lamp should not operate. It is possible for the wiring itself to fail within the insulation but in my experience unless there has been some abrasion or overloading etc. This is most unlikely. W=I xV or Watts = Amps x Volts. W = I x V therefore I = W/V and in our example I = 55/12 , i.e. 4.58 Amps. So why is this useful? Well in the above example knowing the power of a bulb we can easily calculate the current drawn and thus the thickness of cable required. It is usual to allow some margin of safety, so for the headlamp bulb, cable rated at 10 amps maximimum, should be adequate. r1 will be very low, a fraction of an ohm. I =12/0.3 i.e. 40 amps , a large current but maybe not enough to turn the cold engine. So if either of these leads has a corroded contact it could easily represent a resistance of 0.2 ohm, or more, enough to cause the car to fail to start. While on the subject of circuit resistance, why is it that the 240 volt ac domestic supply is very capable of killing you wheras the much higher 20,000 volts of the ignition HT feeding the spark plugs seldom causes much beyond a shock. Well again all down to the internal resistances* "r" of the supplies. For the ac mains "r" is very low and not a limiting factor wheras for the ignition HT circuit* "r" is very high so cannot sustain a high enough current to cause harm. A typical ignition low tension (LT) circuit will be passing about 1 Amp through the contact breaker and the ignition coil primary. Now the high tension (HT) side of the ignition coil generates about 20,000 volts. As the HT power out has to be less than the LT power in (due to heat losses in the coil) if we assume 2 Watts is lost as heat we are left with 10 watts to fire the spark plugs. This is the reason that the inclusion of a radio suppressor or a high resistance suppressing ignition lead each with a resistance around 5,000 ohms , makes little difference to the quality of the spark. *With the ac mains supply, motors and in fact ignition coils although internal resistances have been mentioned, internal impedance would be the more correct term. With an alternating supply, coils and transformers are involved and other factors termed inductance and capacitance have to be considered along with resistance that gives rise to Impedance, but this is beyond the scope of this article. Warning: Some electronic ignition circuits are capable of delivering a much greater shock that could harm someone with a weak heart etc. A bit off the subject, but a good way to test ordinary torch batteries NOT CAR BATTERIES. 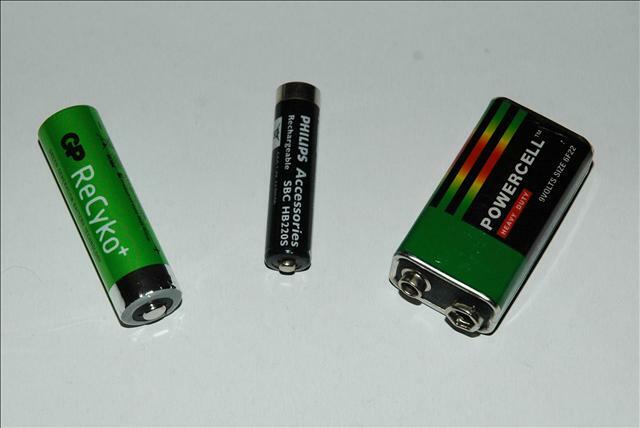 A normal AA battery has a voltage of about 1.5 volts, 1.3 volts if a rechargeable cell. So with the meter on dc volts first measure the voltage. If this is low then the cell is definitely discharged. If it measures OK it may still be unservicable because a meter on its voltage range takes a negligable amount of current and does not test the battery under normal working conditions. The batteries internal resistance may have risen to prevent it delivering sufficient current to be useful in service. Select the high DCamps range on your meter and momentarily short circuit the torch battery, I mean extremely quickly to avoid discharging the cell. A fully charged: AA cell should give between 5 -10 amps . This is an extreme test and maybe frowned upon by some but I have used it successfully for over 30 years to decide whether a torch cell is servicable. It is also about the only time I use the meter to measure DC current directly. Tracing electrical faults can be rather daunting to many but by using a logical approach there is no reason why most electrical faults on a TR cannot be identified or at least narrowed down. Although specific examples will be explained it is the method of diagnosis that is important not the specific faults described. The main battery Positive is earthed to the chassis and engine, the battery negative (-VE) is initially wired to the starter motor. From there it connects to fuse A1 and the Ammeter. From the Ammeter it feeds terminal “A” on the control box. Inside the control box after passing through a few turns of a low resistance sensing coil it emerges at terminal “A1”, for practical purposes in this example “A” on the control box may be viewed as directly connected to “A1”. From Control Box “A1” it then feeds both the ignition and lighting switches. So all of the supplies for a TR3A pass through the ammeter with the exception of the horns as they are fed directly from A2 via the fuse to A1. The circuits connected to fuse A1-A2 are permanently live, those connected to fuse A3-A4 are via the ignition switch so are only live with the ignition on. If the wiring is traced from the lighting switch it can be seen that apart for USA market cars there is no fuse, so a short circuit on any light could cause the loom to burn out. 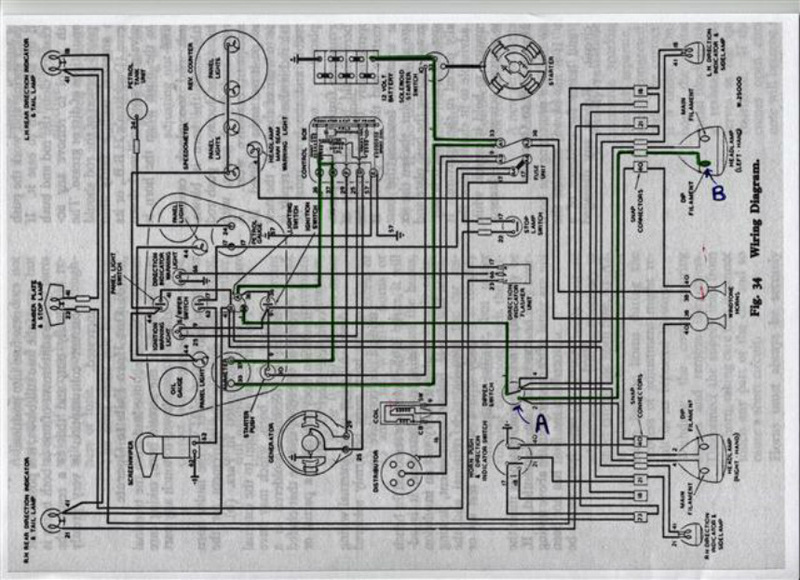 Likewise tracing the ignition switch wiring, this connects to fuse terminal “A3” and then directly to the ignition circuit, so a short circuit in the coil could also possibly causethe loom to fail. Fortunately ignition coils rarely fail that way but it does show the wisdom of fusing circuits to avoid a major problem. Fitting an auxiliary fuse in the lighting circuit as for USA cars is a wise move and could save an expensive burn up. Even so both dip and main beam headlamps are still not fused at all. Contrast the TR with a modern car where nearly every electrical component has a separate fuse. From Ohms law a 5 Watt rear side light bulb takes 5/12 =0.42 Amps when operating. The diagram above indicates that three lights are connected in parallel so to give some degree of safety and mechanical strength a cable rated at about 8 Amps capacity would be used. Now if the bulb socket develops a short circuit to earth say of 0.1 Ohm, the current now shoots up to 12/0.1= 120 amps. The cable and your loom would then burn happily. If a fuse say of 30 Amps capacity had been used (as for USA cars) then this would rapidlyblow and protect the loom. Remove each wire from the A4 terminal and insert a new fuse. You can check that the fuse is OK using the Ohms range on your multimeter, it should measure zero or a very low value. Now replace each wire one at a time until the fuse again blows. Although this wastes another fuse the fault has now been narrowed down to a single circuit. Mark the offending wire and reconnect the other good circuits to “A4”. If we assume that the brake light circuit was causing the fault this circuit can now be investigated further. 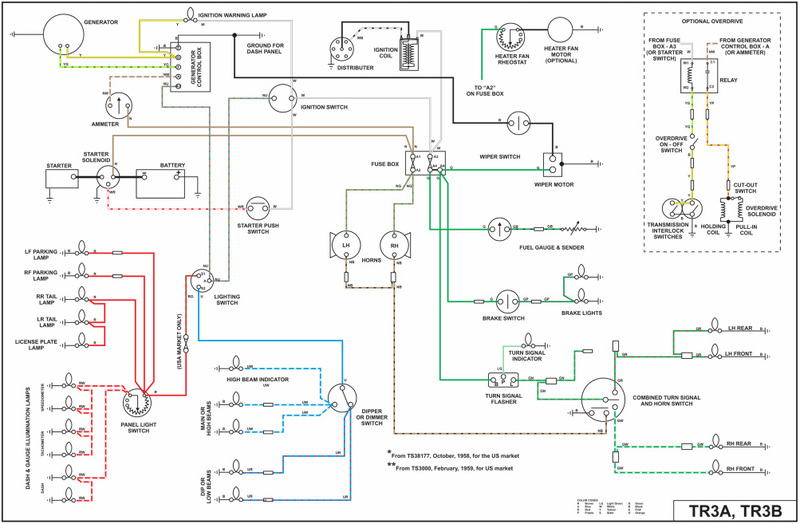 Looking agan at the wiring diagram above the brake light circuit comprises the brake switch, the brake light bulbs and the associated wiring. So one of these components or the wiring is shorting to earth to cause the fuse to blow. As with all resistance measurements first disconnect the battery and earth one meter probe. Select the Ohms range on the meter and measure the resistance of the disconnected brake wire light wire to earth, it will be a low reading. Then disconnect the other end of the wire i.e. its connection to the brake switch and the short circuit should clear. If not the wire is shorting to earth somewhere. Replace the brake switch connection and now disconnect the output wire from the brake switch feeding the brake lights. If the short remains then the switch must be faulty. If the short circuit clears the fault must now lie beyond the switch. Reconnect the switch output wire and in turn disconnect each brake light until the fault is isolated. If a fuse is blowing first identify the offending circuit by disconnecting all output wires from the fuse and reconnecting in turn. Then systematically check the resistance of the faulty circuit until the offending component/connector or loom cable is found. The most common fault is a light or other electrical item not working. One procedure to trace this type of fault i.e. a failed dip headlight has already been explained. Another approach is to bypass the wiring loom and run parallel live and earth feds direct to the component. Suppose the windscreen washer motor stops working. Identify which wire to the washer motor is earthed and which is live. From the battery +VE (earth) connect a flying lead to the washer motor earth connection. If it now runs the earth lead is faulty. Clean the connections and check the wiring. If it still does not run the motor itself is faulty, so as a double check use your meter on its DC volts rangeto see if 12 volts appears across its terminals. Starter Motor If this is suspected, remove from the car and test on the bench. When connected to a good 12 Volt battery it should run at a high speed. This is not a definitive check as the motor will still need to be checked under load ( i.e. on the car) but if it will not run on the bench it is definitely faulty. Dynamo The Ignition light should extinguish above idling speed. The ammeter gives a good indication if the dynamo is charging as just after starting a strong positive charge should be observed. If your car has a voltmeter then the volts should be at least 13 volts above idling speed. Another check is to remove the Control box plastic lid and observe the “Cut Out” contact as the engine is revved above idling. The contacts should be seen to close and then open again as the revs drop back to idle - this corresponds to the ignition light being Off then On. Ignition Coil Difficult to check reliably as they can fail with heat (as the engine warms up) and/or as the revs increase. Substitution with a known good unit the best approach, again be aware of poor after market products. Fuel guage sender Do not attempt measurements with it in the tank due to the extreme volatility of fuel. On the bench, with the meter on Ohms range measure across the terminals as the float arm is gradually moved from minimum to maximum. The reading should gradually increase from 0 Ohms to around 70-90 Ohms. Any sudden very high reading (or open circuit) indicates a damaged resistance track or the moving contact losing contact with the track. It is worth trying to clean the track gently or the contact may be bent slightly to increase contact pressure before buying a replacement. Identifying electrical faults on a TRis not difficult provided you adopt a logical approach and are patient.